Michael Gray saw first-hand how good western Kentucky basketball was when he was a standout player at Caldwell County in the mid-1980s. Now in his third season as women’s basketball coach at Brescia University, Gray is trying to keep that same talent from leaving the area. His latest western Kentucky signee is Todd County Central’s Amy Brumfield. 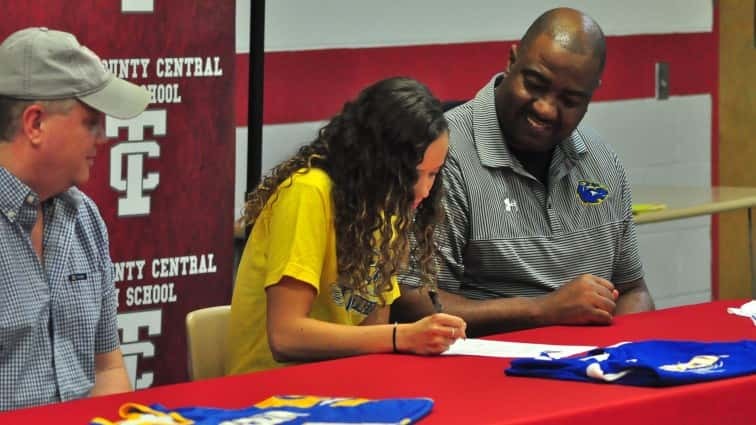 The Lady Rebel guard put pen to paper Wednesday and signed with the Owensboro school. 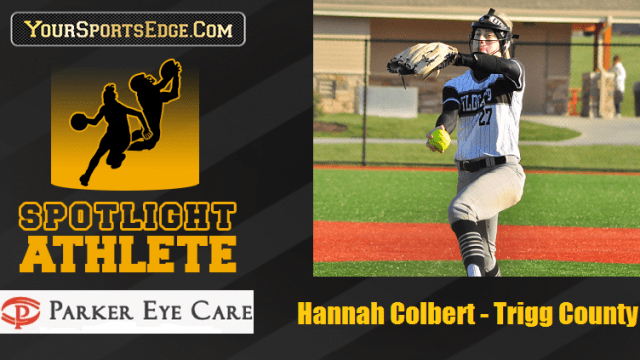 She will become the eighth girls’ player from a school in regions 2-4 on the Lady Bearcat roster. She also joins former Lady Rebels Alicia Salazar and Jayde Robinson at Brescia. 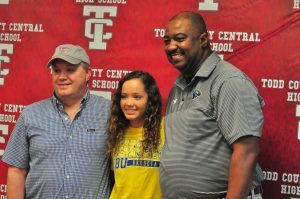 Amy Brumfield poses for a picture with her father Donnie (left) and her future coach at Brescia Michael Gray (right). Brumfield was a double-digit scorer and led the Lady Rebels in scoring the past three seasons. As a senior, Brumfield led the Lady Rebels in scoring at 12.5 points a game and was named to the Fourth Region All-A Classic Tournament team. The guard hit 39-percent of her 3-point attempts this year and shot 76-percent at the free throw line. As a junior, Brumfield scored 10.9 points a game in helping lead the Lady Rebels to the 13th District championship and an appearance in the Fourth Region Tournament. She averaged 10.6 points as a sophomore and was second on the team in 3-pointers made while shooting 35-percent behind the arc. Brumfield has the ability to play either guard position, and Gray said she may see time at both at Brescia, who was 10-19 this past season and missed the River States Conference Tournament by one game in the standings.